Now is the time to preserve your stories. We all know how quickly time goes by and how easily we can lose track of it. Your friends and family want to understand you better by holding onto your personal stories. 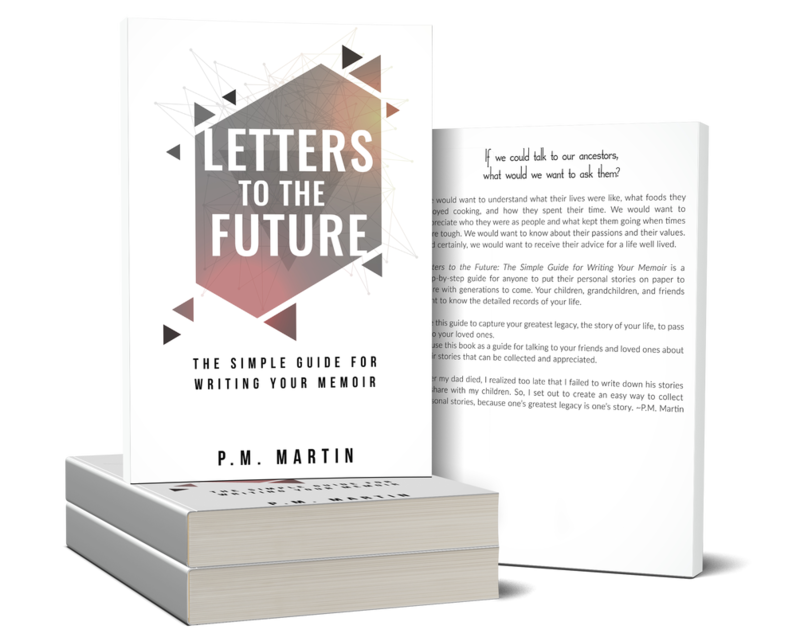 Buy the book Letters to the Future and collect your stories for them. Letters to the Future is a step-by-step guide that will walk you through the process of collecting your stories. This guidebook can help anyone collect their personal stories into a memoir to be shared with friends and family. If you think you could not possibly write a book, think again. This guidebook makes the process so easy that anyone can do it. Follow the steps one at a time, and in no time at all, you will have your memoir ready to share.